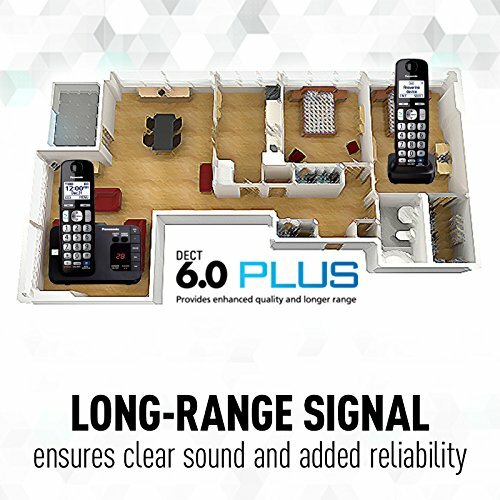 Powerful cordless phone system with some senior-friendly features like big buttons, loud ringers, and voice clarification. 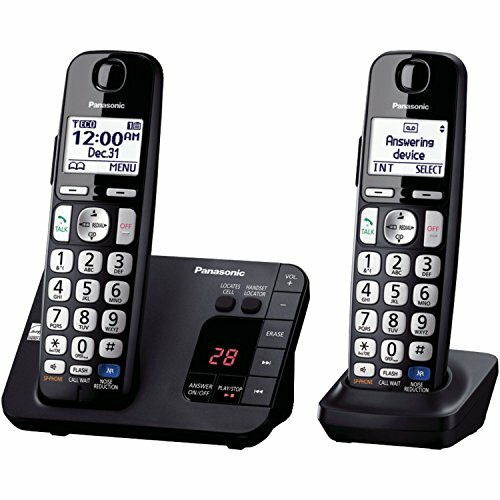 The KX-TGE232B cordless phone from Panasonic is considered to be among the best phones for seniors. The phone comes with two handsets which can be increased to 6. The powerful battery lasts for more than 10 hours of talk time to keep you connected for long conversations. There is even a battery backup for calls even after the power goes out. 14 minutes of answering machine recording time. 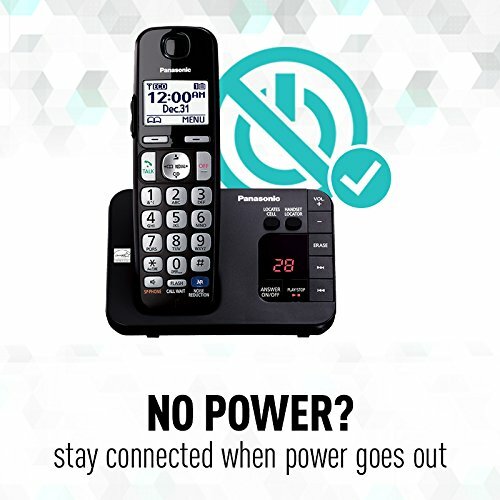 Read on for a comprehensive and unbiased review of the KX-TGE232B cordless phone from Panasonic. 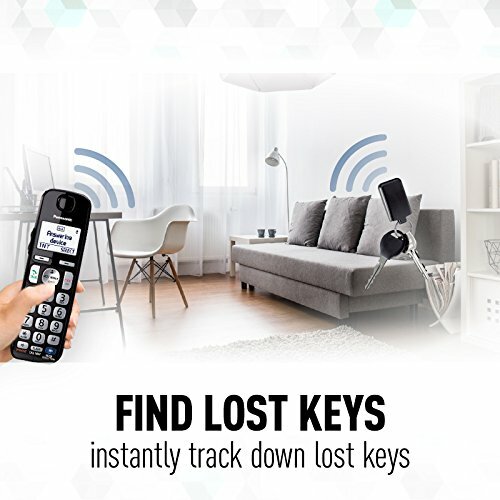 Upon opening the phone’s packaging you will find one base unit for the KX-TGE232B, a pair of wireless handsets, a belt clip, AAA Ni-MH rechargeable batteries and an AC charger. As you will see below, this phone has a lot going for it as far as easy and convenient use for seniors is concerned. As previously stated above, the phone’s handsets come with extra large, easy to read buttons. The most frequently used buttons (On/Off buttons and the menu button) are all made of a hard and durable plastic. The other buttons are made of a softer more tactile material. This makes them comfortable to use and allows the user to feel when they are pressed. On top of having large printed numbers on their face, these buttons are also back lit. This ensures that users can see them clearly even in low light conditions. As a result, making out all the buttons on the keypad is much easier for users who have eyesight problems. This is another helpful feature on this phone that senior users with eyesight problems will appreciate. The main screen is large and backlit. The white-backlit screen displays big letters and numbers too that are easy to make out in all light conditions. The KX-TGE232B features Volume Amplification for the clearest sound. The manufacturer also used an improved DECT 6.0 version to enhance the quality of sound delivered over the cordless phone system handsets. 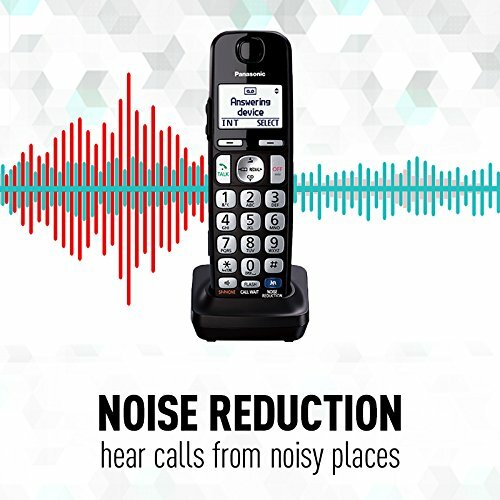 The phone also comes with a Noise Reduction feature that minimizes background noise. This enhances voice tones to make the caller’s voice clearer. Dedicated volume control keys are located on the side of the handsets. 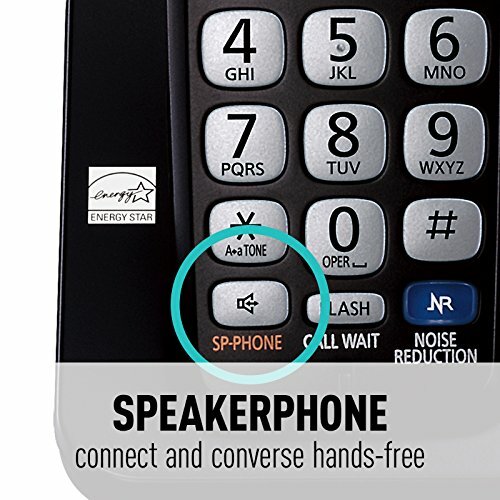 Finally, the phone has an exceptionally clear two-way, full duplex speakerphone feature built into each handset. The phone says out loud the name and the number of the person calling. This helps seniors know if they need to get up and answer the phone. 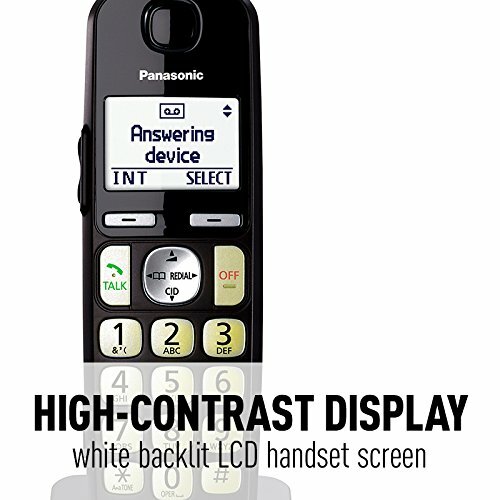 With the Panasonic KX-TGE232B, users can block up to 250 numbers. 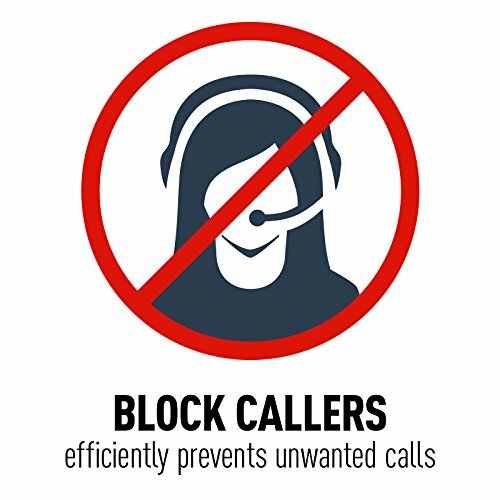 With this many numbers, users can block any unwanted callers including robocallers and telemarketers. There are programmable speed dial numbers. But, you have to use the phone’s menu system to get to them. There are no one touch buttons for emergency dialing. The built in answering machine offers users fourteen minutes of digital recording time. The buttons are well labeled but the print could be a bit larger. The answer function can be turned off as well. The KX-TGE232B is fairly easy to set up and use. Features such as the text to voice caller ID as well as the speakerphone make the phone much more convenient to use. The white-backlit display and extra large back-lit buttons also add to the phone’s ease of use for anyone suffering from eyesight problems. 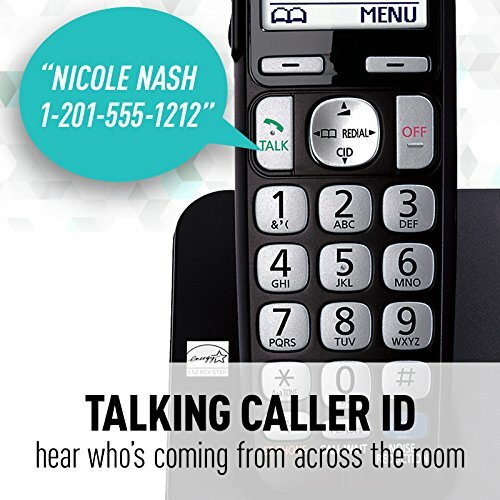 This cordless phone system is a great choice for seniors who have trouble seeing. Nearly every feature makes it easy to see and use. But, there isn’t much volume amplification. So, seniors who are a bit more hard of hearing, should choose a model with 40db or 50db of amplification.